Will he be enough to fill the stands? 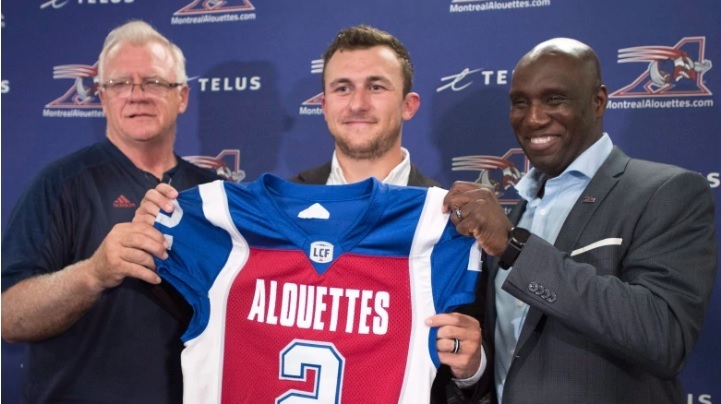 He’s not starting but you can bet Johnny will get a few plays in, especially after the Eskies bury them early. If it weren’t for the turnovers, the Bomber win last week would have been an absolute embarrassment for the Argos. This will be a slog between the two. Take the home side. This will mark the first time Calgary has had to play a real team this season. They’ll still win but it won’t be as easy as it has been. Last week: 3-1 Surprise Rider win ruined a perfect week. Season: 17-7 Not too shabby. July 26, 2018 in Weekly Picks.